PepsiCo's online marketing efforts for Doritos are deceptive and also violate teens' privacy, consumer groups say in a new Federal Trade Commission complaint. It alleges that Pepsi's Frito-Lay division markets Doritos to teens by creating immersive “game” sites like Hotel626.com, an online haunted house, or Asylum626, a mental institution, without making clear the sites' purpose is to advertise chips. The Center for Digital Democracy, Consumer Action, Consumer Watchdog, and The Praxis Project argue that creating those types of engaging sites, which don't identify themselves as ads, is deceptive. 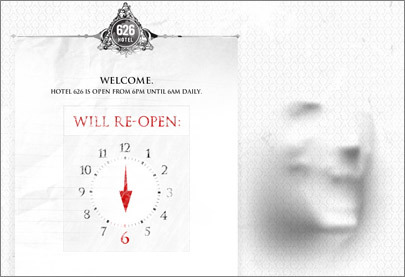 The game at Asylum626.com requires players to escape an insane asylum; doing so involves evading “lobotomy tools, electroshock therapy and crazed patients,” according to the complaint. “The game employs head-tracking technology so that the player must literally move to avoid an attack,” the complaint states. The groups argue that this type of immersive marketing is deceptive to teens, who are especially vulnerable to the “emotional arousal” created by the games. The fact that the ads are targeted toward adolescents could factor into decisions about whether they're lawful, since teens are seen as especially susceptible to manipulation. The consumer groups also allege that Frito-Lay violates teens' privacy by seeking their contact information without adequately disclosing that the data will be used for marketing. “A reasonable teen would likely think the information collected would be used to create a login to save game progress and return to save points at a later time. However, none of this information is necessary to play the game,” the groups claim. The company also allegedly urged teens to upload their photos while burying key facts in its terms of service, which grant Pepsi a “perpetual license” to distribute the pictures. “Frito-Lay’s disclosure about collection and use of personal information was neither sufficiently detailed nor presented in such a manner that reasonable teens would be likely to see and read it,” the groups argue. Plus, Pepsi's sites gives visitors the opportunity to integrate with social-networking services, but when users do, the company allegedly sends messages to their friends on Twitter and Facebook that appear to come consumers. The consumer advocates say that not only is this practice a privacy violation, but that recipients likely will believe the messages were from their friends. “After all, teens routinely tweet or write messages on Facebook for their friends to read,” the complaint alleges. “Here, the Facebook messages even appear in a box of text with the player’s picture next to it.” The groups are asking the FTC to investigate Pepsi and order it to change its ad practices. Pepsi hasn't yet responded to the complaint.